HEY! DID YOU KNOW IT'S ALMOST TIME FOR THE CYBILS AWARDS? Just in case you didn't know, the CYBILS are an honor given out by Kidlitosphere bloggers- teachers, librarians, authors, booksellers, etc. Every October, people rush to the CYBILS website and nominate their favorite new books in a whole bunch of different categories, including picture books, nonfiction, poetry, middle grade fiction, fantasy, graphic novels, YA, etc. At the end of October, the nominations close, then a panel of judges review the books in each category (almost one hundred in many of the categories), and whittle the list down to five books, which are then passed to a second panel of judges, who select the winner in each category. I'm thrilled to announce that I will once again be serving as a judge on the nonfiction picture book panel. I've helped with the nonfiction judging for the last two years (as a YA judge in 2008 and a nonfiction picture book in 2010) and it's so, so, so fun. Starting in late October, I'll be reading and reviewing tons of terrific new nonfiction picture books. And I'll be discussing those books with lots and lots of really knowledgeable, interesting, and fun people. I. can. not. wait! OK, so now your job is to hop over to the CYBILS website and nominate your favorite books. 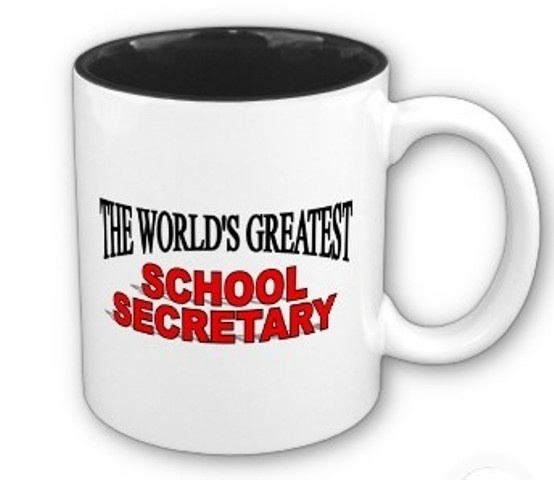 School secretaries rank right up there on the top of my list of people who work incredibly hard and should be paid enormous amounts of money. 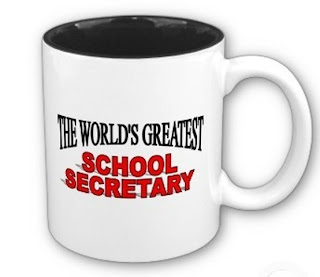 Ms Patti, the secretary at my school, is one of the best secretaries, not to mention one of the very nicest people I know. She does all of the stuff that other secretaries do- support the boss, answer the phone, paperwork- but then she also helps 25 teachers and paraprofessionals, and three hundred kids and their families. She knows every child's name and life story. She deals with bands aid bloody noses and broken arms. She knows exactly when to give a child a hug and when to give him a hard time. She makes coffee every morning and caters luncheons on teacher planning days. And she does it all with kindness and smiles and patience all day every day. And she has done it for more than 22 years. And today is her birthday! Happy Birthday, Miss Patty! Five calls home, two orange juice spills. Read the rest of the poem here. (You have to scroll almost to the bottom of the page to find the poem). Poetry Friday is hosted by Anastasia Suen at PICTURE BOOK OF THE DAY. My boys play football. Love football. Live for football. I love the crisp fall afternoons. Watching them warm up. The red and white of their uniforms against the green of the grass and the blue of the sky. The camaraderie of kids who have played together for five years or more. I love watching my younger son, the quarterback as he stands next to the coach, then trots into the game. To direct the offense. Not quite a man, but almost. I love watching my older son, star running back, as he bursts through the defense, and flies down the field. His sweet spirit, so painfully confined in a classroom, is so free on the football field. I don't love the heart stopping minutes when one of my guys is knocked down and lays too still for too long. Those times when the trainer is summoned onto the field. And I imagine ambulance rides and wheelchairs and traumatic brain injuries. I wish my boys were golfers or swimmers or tiddlywinks players. But my boys love football. Live for football. So that is what we do. This afternoon is the first game of the season. Good luck guys! Read the rest of these poems here. Susan Writes is hosting Poetry Friday today.